A couple of years ago we had this category and the nominees were Raging Bull (1980), Million Dollar Baby (2004), and The Fighter. I purposely left out Rocky (1976) for obvious reasons. 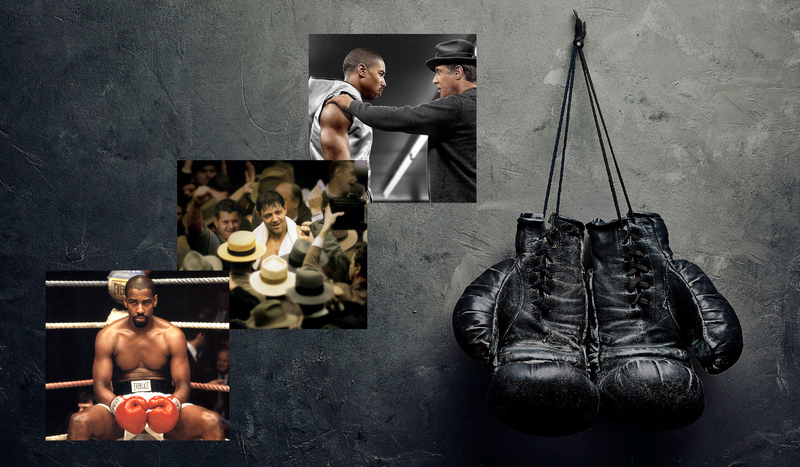 Which of the following boxing flicks would you choose as the winner this week? It may seem like a virtue that people take advantage of, like kindness or generosity. But in my life I have found “people pleasing” to be a destructive way of life. In fact, if you’ve ever considered yourself a people pleaser, I guarantee there is someone in your life whom you are actively putting in grave danger. I have been a people pleaser for a very long time. I will confess I’ve felt a little self-righteous about it at times. I would see myself as a kind and loving individual trying to keep peace and happiness amoungst a certain group of people. And to me, there were certain individuals in that group who were simply mean, ignorant, and selfish. These people would make my life miserable, demanding to get their way in spite of my wholesome efforts. I mean, you now people are! This may be what we want to believe, but it’s a skewed interpretation of what’s really happening. In any context where you are required to make a decision that could affect those around you, it is certainly true that you cannot please everyone. For most people, this means some careful reflection, some weighing of options, a semi-difficult choice, and coming to terms with the fact that not everyone will be happy with you. For a people pleaser, it is much more complicated.and dark. People pleasing isn’t a selfless and loving act. It is a fearful act. To a people pleaser, coming to terms with the fact that not everyone will be happy with them is simply unbearable. Most of them avoid any situations like that to make sure they never have to face the pain. This makes the decision making process long and arduous. They will think of every possible negative outcome, and fantasize about one or two positive outcomes that they’re sure will not happen. They will waste time, stew, and overthink. This, as you are aware, is unhealthy at best. This is not the actions of a soft-hearted saint. This is someone who hates another person. Someone who wouldn’t think twice of putting another person down and degrading them. That is the person in their life who is in great danger. The person who they are abusing and destroying. And, yes, that person is themself. Being a people pleaser is, in reality, giving in to fear and degrading oneself. To beat it takes bravery. It is one of the hardest things to do in life, but we all can do it. If it seems impossible, think of one person you know who loves you unconditionally. Now ask yourself if they would ever do to you the things you do to yourself, say the things you say to yourself, or if they would ever deprive you of love, dignity or respect. If they wouldn’t do it, why would you? What makes you any different from them? 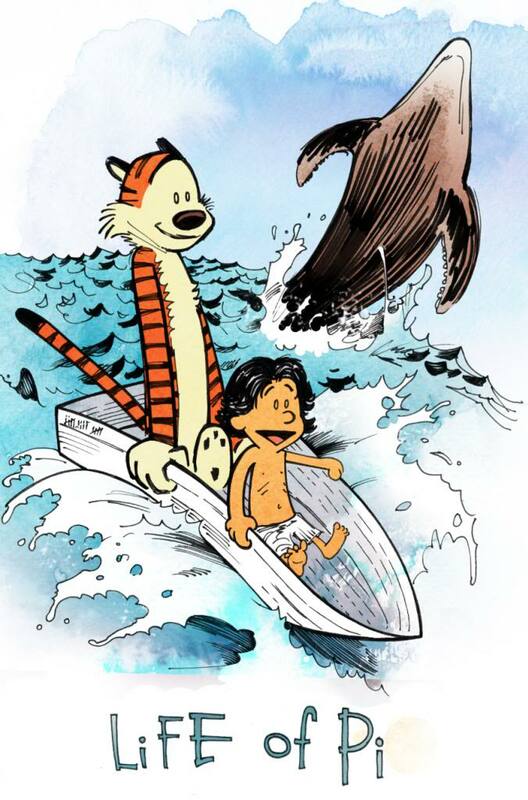 Congratulations Life of Pi. This is your week. Best Actress: Jennifer Connelly as Betty Ross in The Hulk. Best Actor: Yun-Fat Chow as Master Li Mu Bai in Crouching Tiger, Hidden Dragon. Best Quote: “To repress one’s feelings only makes them stronger” — Michelle Yeoh as Yu Shu Lien in Crouching Tiger, Hidden Dragon. 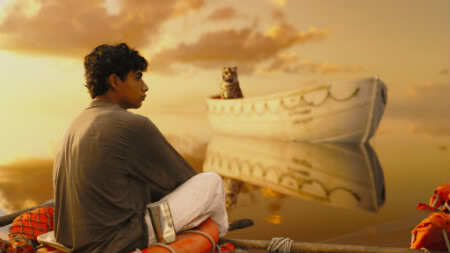 I read the book Life of Pi before watching the movie, which was cool experience. What a story! I’ve just finished Ready Player One and am looking forward to tomorrow when Joy and I go see it on the big screen! Perhaps known for his breathtaking backdrops and cinematography, Ang Lee has had his share of blockbusters, as well as Oscar and BAFTA recognition. Which of these three films of his would you pick as our movie of the week? I often wonder what it would have been like getting married in 1968. It was just 16 days prior that Martin Luther King Jr. was assassinated. And then just two months later Robert Kennedy’s life is taken in the very same manner! Was there any thought that the Civil Rights Movement and the quest for equality would continue to be a struggle 50 years later? What was it like to see the athletes throw up their fists in the black power salute at the winter Olympics in Grenoble, France? I suppose those were issues closer to the hearts of Americans. Here in Canada, just 2 months after the wedding, Trudeau would become the new Prime Minister. This is the dad of the present one, though he was old enough to be his grandad. What would it have been like to see that man and wonder how long he’d last and what his leadership would bring? And then to wonder the same thing about Richard Nixon in the fall of the same year. That year also saw the Beatles release a new album titled “The Beatles.” Quite a catchy title it was. Most people would just call it “The White Album.” Where was the music scene going from there? Perhaps most significant is the new menu item that McDonald’s had introduced: the Big Mac. It was 49 cents. I wonder if they ate any on their honeymoon, or at any time that year. And now I wonder what it must be like to look back while sitting here in 2018. Trudeau, Mulroney, Chretien, Harper, and a few short-lived PM’s all came and went. The Beatles broke up, the Big Mac stayed (though its price grew by 120%), and Both Nixon and Pierre Trudeau have passed away. Since then they’ve had four great kids, eight wonderful grandkids, and a bunch of dogs. Pepper, Penny, Skippy, Roper, Mindy, and Holly are all remembered with fondness. If there were any others, I’m sure they’ll be remembered with fondness too, just not by me I guess. Thanks for everything Mom and Dad. Happy Anniversary. Congratulations The Sound of Music. This is your week. Mainly because my mother picked you. Best Actress: Julie Andrews as both Mary Poppins in Mary Poppins and as Maria in The Sound of Music. 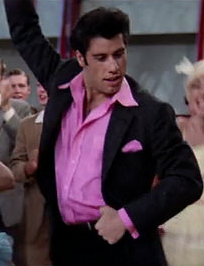 Best Actor: John Travolta as Danny Zuko in Grease. The best picture winner for the year 1968 was Oliver! For my brother’s birth year it was Midnight Cowboy. For my sisters’ birth years it was The Sting and The Deer Hunter. My birth year? The Godfather. Yup, the God-freaking-father! Read ’em and weep! We’ve covered the musicals of the 80’s and 90’s as well as the 2000 to the present. Now we’re going old school. These are pretty heavy hitters, so it’ll be interesting to see which one gets more votes. Which movie is your pick? Tonight (April 14) I will be ring announcing for the NWE here in Sussex. With that in mind, and with the Rock being this week’s focus, I think it’s time for a bit o’ wrestle-talk. Typically, wrestling matches aren’t emotional by nature. They are fights between two competitors who hold a grudge. However, at times there’s more to it than just the promos, the stories, and the maneuvers. Every once in a while something happens that pulls on the heart strings of the wrestling audience. It’s not so much that the fans cry—though sometimes they do—but at the very least we have goosebumps and weird a sensation going up our collective spines. 10. Roddy Piper enters the ring at Wrestlemania 25. It was 2009 and the Rowdy One was stepping between the ropes. He didn’t look as good as he did when he fought in the main event of the very first Wrestlemania in 1985, and his performance that night wasn’t anything to write home about either. But the fact was, a legend who pioneered this very spectacle was stepping back in after being inactive for a long time. Twenty-five years had passed and the love and respect that was evident in the reaction from the crowd is enough to warm anyone’s heart. 9. CM Punk vs John Cena in Chicago. Punk had made national news by voicing his frustrations with the WWE live on their own show. He was a “bad guy,” but the things he was saying represented frustrations the fans had been feeling themselves for quite a long time. His contract was up and he promised to beat John Cena for the World Heavyweight title and leave the company. This was in anticipation of their match in Chicago, Punk’s hometown. In that match, the consummate good-guy, Cena was jeered like a vegan hippie at an NRA convention. Punk, on the other hand, was cheered like he was Gretzky hoisting the Stanley cup in Edmonton circa 1984. His win was truly a win for wrestling fans everywhere and it was cathartic to see him capture the title after he had voiced so much discouragement and disillusionment with wrestling just weeks before. 8. Jeff Jarrett and Debra vs Val Venis and Nicole Bass, 1999. The pay-per-view was Over the Edge and none of these individuals had (nor have) held any interest for me. However, this match was one they could barely get through. This was because their good friend Owen Hart had just died in the ring minutes before they were to cut a promo and then head to the ring for their match. Something had gone wrong and Owen fell 78 feet from the rafters of the Kemper Arena in Kansas City. Seeing Jarrett and Debra try to keep their composure is hard to watch, but your heart is with them as the real wrestling for them was on the inside. 7. Bret Hart vs Chris Benoit, Kemper Arena, 1999. In this very place where his brother died earlier that year, Bret faced off against Benoit in a match that held so much more significance than a title. It was only five months prior and the wrestling world could hardly breathe from the grief. After the finish of the match the Hitman looked up to the rafters and waved. Chokes me up just thinking about it. 6. Daniel Bryan vs Randy Orton vs Batista. Again, wrestling fans were tired of the WWE choosing champions based on who would be projected to boost ratings and appease shareholders. Everyone loved Daniel Bryan and wanted him champion. They didn’t care that he was smaller than most wrestlers or that he didn’t have “the look” that past champions like The Rock, Hulk Hogan, and Triple H had. When he didn’t win the Royal Rumble (the road to a Wrestlemania world title match), the fans booed the winner out of the building, a wrestler-turned-Hollywood actor who’d starred in the previous summer’s blockbuster Guardians of the Galaxy. Fans didn’t care who he was—they wanted their hero front and center. Because of their unceasing outcry, the creative management changed gears and put him in the main event at Wrestlemania. 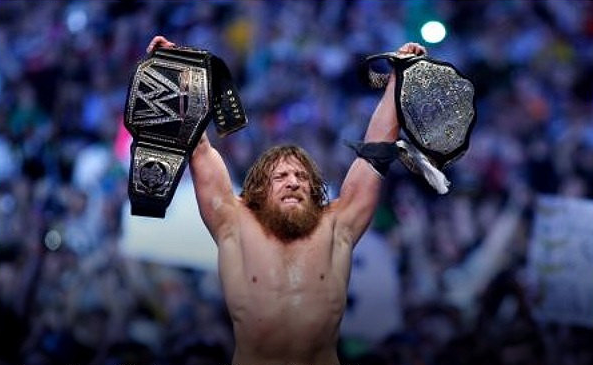 After winning the match, Bryan raised the titles he won above his head. It was one of the greatest feel-good moments in wrestling. 5. Ric Flair vs Shawn Michaels. A wrestling legend was having his retirement match. He was 60. It was Wrestlemania. To say the match was exciting and memorable would be an understatement (something that came to be expected with matches involving his opponent Shawn Michaels). The match’s finish saw a weeping Flair struggling to his feet motioning to his opponent to “come on, bring it on!” Flair received the devastating “sweet chin music” kick to the jaw, fell to the mat, got pinned, and laid there sobbing. The opponents embraced and Michaels exited the ring as the fans applauded the career of the sole man in the ring. The one who helped build the empire of “sports entertainment” that we all know now and who many critics consider the greatest wrestler of all time. Seeing an aging man receive this and cry his eyes out was a moving experience for anyone watching, even if they didn’t know who he was. Which wasn’t likely. 4. Garcia sings national anthem. On September 11, 2001 everything stopped in the United States. Concert tours were cancelled, pro sports games were postponed, and TV shows were put on hold. But WWE, infamous for not even stopping for Christmas, held their Smackdown program two days later, September 13. And at the outset of the program one of the ring announcers, Lillian Garcia, sang one of the best performances of “The Star Spangled Banner” I’d ever heard. The crowd cheered at the end for her and for their country. Seeing her tearful expression afterward was touching to say the least. I’m not American, but when I watched this I couldn’t help but feel moved. 3. Randy Savage vs The Ultimate Warrior. This moment had little to do with the match itself. It, too, was a retirement match. Wrestling fans remembered well the Randy and Elizabeth of the 80’s, especially when they were on top of the world with the WWF World Heavyweight Championship. She was every bit as popular as he was, perhaps more. But since then, Savage and gone savage and betrayed her. He cast her aside and had the shrill and unpleasant Sensational (“Scary”) Sherri accompany him to the rig instead. The cameras showed that Elizabeth was in the crowd watching the match that night. He lost, and therefore was to retire. An incensed and irate Sherri screeched at him and proceeded to kick him while he was down. Elizabeth watched with her trademark expression of concern and perplexity. Then she could take no more, ran into the ring and threw Sherri out by her hair. When Savage came to, he couldn’t believe he was seeing Elizabeth. She was an enemy! Did she hurt Sherri?? But Liz had that look we’d all seen before: the pleading, heartbroken one. And this time that look included tears. We all waited to see how he would respond to her, what he would do. He finally stepped forward and the two embraced. 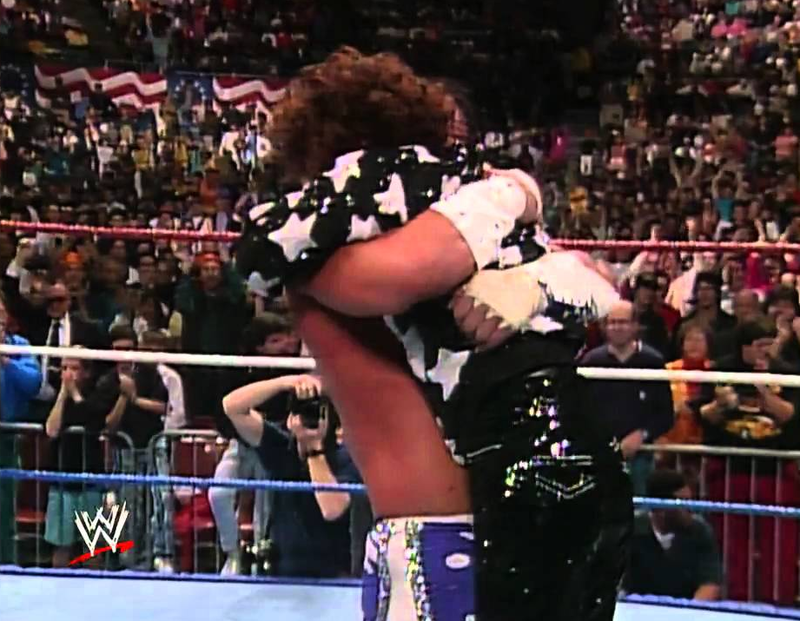 If you ask a wrestling fan about a moment in wrestling that brought tears to their eyes, nine times out of ten they will mention this moment. 2. Death announcements. It’s never easy to hear about your favourite athletes and entertainers dying, and in wrestling it seems that much harder since they tend to die young. There are too many to list here, though the ones that seemed to hit people the hardest were Andre the Giant, Owen Hart, Elizabeth, and Randy Savage. For me the passing of Roddy Piper was the hardest. If you google “wrestlers who died young” you’ll be shocked at how many recognizable heroes of wrestling passed on too soon. 1. Connor the Crusher vs Triple H. This one appeals to everyone. It made its round on social media, with some of the posters daring people to watch it without crying. Connor was a 7 year old boy with cancer who’s dream was to meet his hero, Daniel Bryan. He got his wish and then some. He had a moment in the ring in an empty arena with only a collection of wrestlers and himself. Amidst all the fun Triple H, wrestler and COO of the company, knelt down and said to Connor, “Hit me,” and pointed to his jaw. Connor couldn’t imagine doing such a thing to his new friend and even said to him, “I can’t hit you.” But after several encouragements given to him from the likes of Daniel Bryan, Big Show, Cody Rhodes, and others who were watching from the sidelines he delivered a soft blow that knocked Triple H on his back. The wrestlers watching cheered him on and cried out, “Cover him! Cover him.” Connor did so and got the win as a WWE referee slapped the mat for the 3-count. If you haven’t seen this, you really should. You can see it by clicking here. 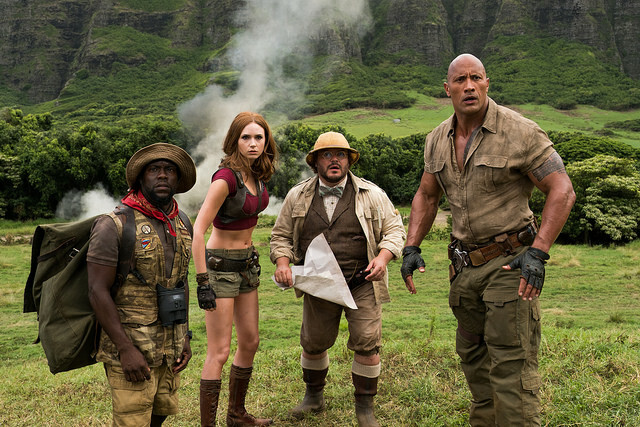 Congratulations Jumanji: Welcome to the Jungle. This is your week. Best Actress: Eva Mendes as Dr. Sheila Gamble in The Other Guys. Best Actor: Jack Black as Bethany in Jumanji: Welcome to the Jungle. 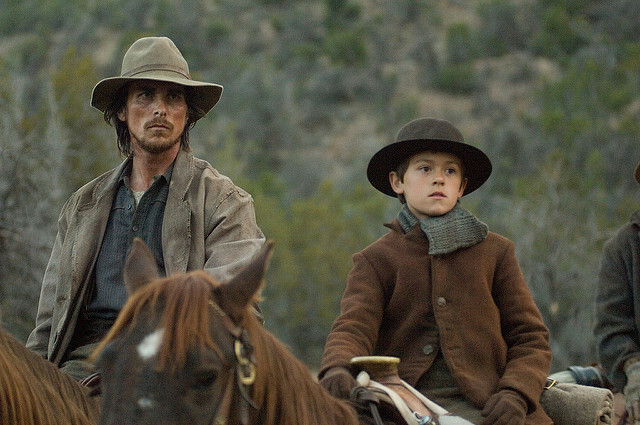 Best Quote: “At age 11, I audited my parents. Believe me, there were some discrepancies, and I was grounded.” — Will Ferrell as Allen Gamble in The Other Guys. Tonight is Wrestlemania, so I thought it’d be fitting to focus this week on the most successful wrestler in movie history. Sorry, no Moana (2016)—too easy of a win—but which of these blockbusters of The Rock would you choose for this week’s movie?